For the past three decades, robotic machining has attracted a large amount of research interest owning to the benefit of cost efficiency, high flexibility and multi-functionality of industrial robot. 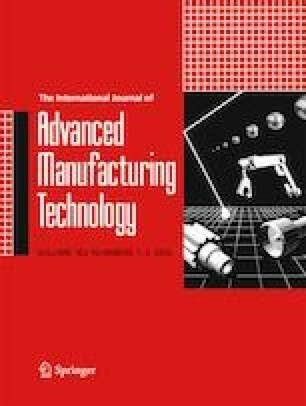 Covering articles published on the subjects of robotic machining in the past 30 years or so; this paper aims to provide an up-to-date review of robotic machining research works, a critical analysis of publications that publish the research works, and an understanding of the future directions in the field. The research works are organised into two operation categories, low material removal rate (MRR) and high MRR, according their machining properties, and the research topics are reviewed and highlighted separately. Then, a set of statistical analysis is carried out in terms of published years and countries. Towards an applicable robotic machining, the future trends and key research points are identified at the end of this paper. This work is supported by an EU project, COROMA: Cognitively Enhanced Robot for Flexible Manufacturing of Metal and Composite parts (H2020-IND-CE-2016-17).